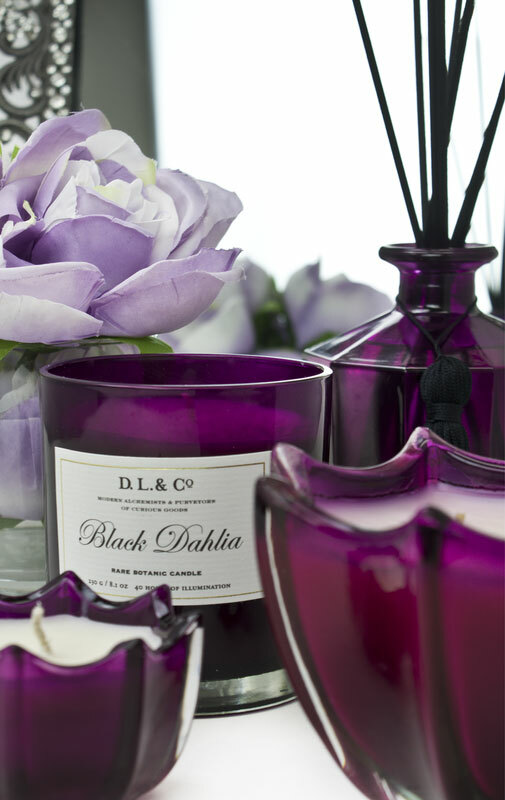 WHY: D.L & Co. Candles & More up to 70% off! WHY: Sample sale extended + further reductions. Up to 75% off candles and diffusers at the D.L. & Co. Sample Sale. 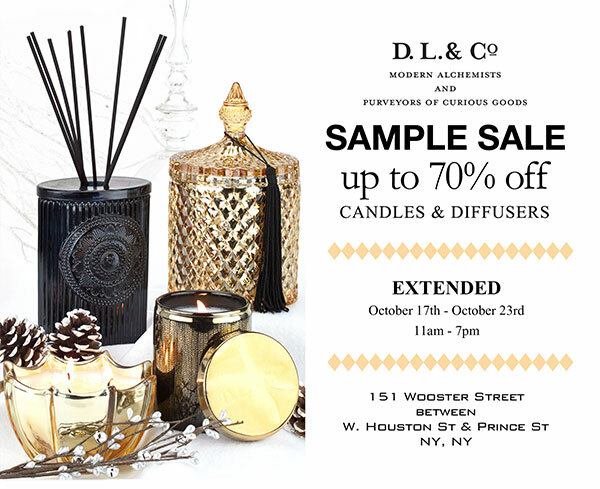 WHY: Candles and diffusers at up to 75% off retail prices at the D.L. & Co. Sample Sale. Item on sale includes a large skull candle for $25 (orig. $75). WHY: Sample Sale Extended! New shipment arriving on Thursday. Now up to 90% off home goods at the D.L. & Co. Sample Sale. Merchandise includes candles, diffusers, skull candles and various accessories.